Here in Scotland, the 25th January is a day for celebration. Why? It's because our most famous poet, Robert Burns, was born on this day. Robert Burns lived from 1759-1796 and wrote many poems that are still famous today. 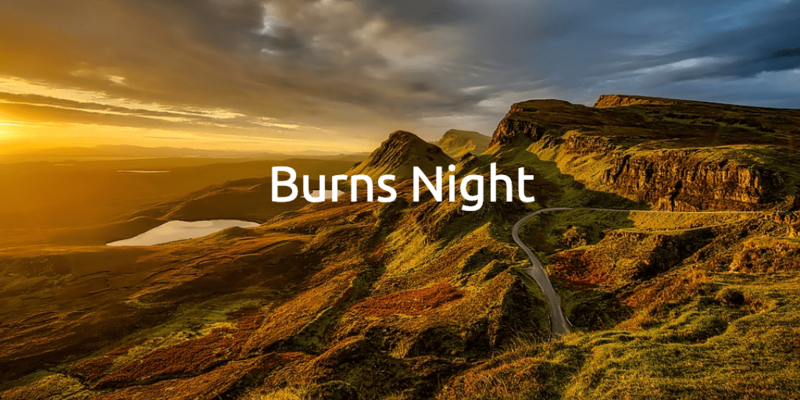 Every year on 25th January, it's tradition in Scotland to hold a party to celebrate the contribution Burns made to Scottish culture. We have a special meal called a 'Burns Supper' which traditionally comprises haggis, neeps (mashed turnips) and tatties (mashed potatoes). Haggis is a Scottish dish made from the heart, lungs and liver of a sheep, and cooked using the animal's stomach. It sounds horrible...but you might be surprised at how tasty it really is! Usually, the haggis is carried into the dining room on a silver plate and musicians play the bagpipes. Then, someone will perform the poem "Address To A Haggis". This is a poem by Burns about his love for haggis! At the end of the poem, the performer cuts the haggis with a special knife. It's very dramatic! We eat our haggis with a "wee dram" of whisky. "Wee" is the Scottish word for "little", and a "dram" is a small amount of whisky. After the meal, there are more poems. A poet usually writes and performs a tribute to Robert Burns. It can be a daunting prospect for the poet to write an ode to such a famous poet, but the audience always appreciates it with a round of applause. Other guests at the Burns Supper can read some poems that Robert Burns wrote too. Robert Burns was not only a critically acclaimed poet, he also wrote song lyrics, and most Burns Suppers include music with songs that he wrote. Then it's time to dance! When we have a party with traditional Scottish dances, we call it a "ceilidh" (pronounced "kay-lee"). Most of the dances at a ceilidh are fast and fun. Sometimes the dances are a bit confusing, but the musicians will teach the audience the necessary moves before each dance begins. If it is still confusing, it doesn't matter because the most important thing at a ceilidh is to have fun. If you are in Scotland in January, we recommend going to a Burns Supper so that you can experience it yourself. If you visit at a different time of year, you can still try some haggis and even join a ceilidh. We guarantee it's an experience you will never forget. 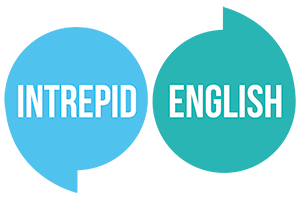 If you're a fan of Scotland and the Scottish culture, Intrepid English provide intensive English courses based in the beautiful Scottish capital city of Edinburgh. For more information, take a look at the Edinburgh Intrepid English Experience page, or contact us to talk about reserving a place in May or September 2019. Fun Fact: 'Auld Lang Syne' is sung around the world at New Year, but did you know that the words of the song were written by Robert Burns?